When I was a boy, I came home from school to see a plate full of crumbs on a table and my dog, Daisy, sitting nearby, staring up at me as if to ask if I had any more. The plate, before Daisy ate its contents, was full of 24 gingerbread men my mother had made the night before. By deducing the look on her face and the crumbs around her face, diagnosing the reason for her diarrhea was pretty easy. It’s not always so easy to find out what’s causing diarrhea in dogs. 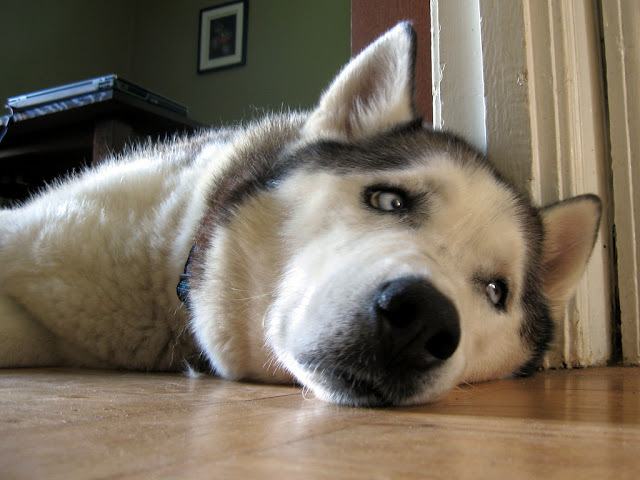 If your dog is experiencing diarrhea, it can be symptomatic of many different things. What it means may depend on your dog’s surroundings, stress level, health level or behavior. Dogs tend to think it’s a good idea to eat absolutely everything in sight, and if it can’t be chewed, it should just be swallowed whole. The penchant for an animal eating everything they can fit into your mouth is also called dietary indiscretion. If you have a dog, you likely already know the extent of what we could put on a list like that. Depending on what they have ingested, it may irritate the stomach and bowel, causing a reaction. In many cases the dog will vomit, possibly eliminating most of what ever they have ingested. In other cases, the item may have to be removed by a vet. Food intolerance is another common reason for diarrhea. There are certain food items that are well-known to cause food intolerance, and should not be given to your dog and should be put well out of their reach. These can be pork, chicken, soy, wheat, gravies of any kind, fats, spices, fish, eggs and from experience, gingerbread men. This is by no means an exhaustive list. By simply changing your dog’s environment can add stress to him/her. If you take them out to a new house to visit a friend or to a show and they start to get diarrhea, they might be reacting to changes in their environment. Parasites can be a pet owner’s worst nightmare. These include the various types of worms that your dog can contract, such as tapeworm, roundworm, hookworm and whipworms. Puppies are prone to coccidia, a parasite that can be fatal in severe cases. Gardia, a parasite found in the intestinal tracts in dogs, can become fatal if not treated in a timely manner. If your dog has diarrhea accompanied by vomiting and a fever, it is possible they may have been infected with a parvovirus infection. This is an incredibly contagious disease that commonly attacks the intestinal system and less commonly attacks the pulmonary system, which can be fatal in young pups. It’s inevitable that your dog is going to pick up and carry bacteria. At the same time, it’s not always easy to figure out where they picked up a certain bacteria, since so many of their behaviors can leave them prone. A list of bacteria that can affect your dog is long and full of names that are impossible to pronounce. Your dog can carry these bacteria without showing any signs of having them, so catching it can be rather difficult. One of the most common bacteria you might see is salmonella. Just as it does for humans, it is a bacteria that will do its worst work on the digestive system, so expect to see symptoms like vomiting, diarrhea and a fever. Another common bacteria is bordetella. You will find this nasty one among dogs who have kennel cough or another respiratory illness. Expect to see symptoms that relate to respiratory system, along with diarrhea. Some diseases and parasites can be transmitted through dogs and humans, which makes it important that you are aware of the symptoms in humans, as well as in dogs. Even if your dog is experiencing only diarrhea, it is best to take them to the vet if it lasts for longer than a couple days. If they have multiple symptoms, it makes it just that much more urgent. What’s been presented here is far from a complete list, but a starting point so you can begin to address the issue.